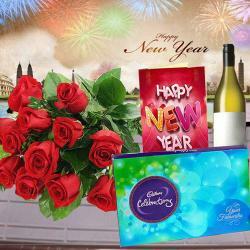 Product Consists : Bouquet of 12 Red Roses with some green fillers in a cellephone wrapping with a matching bow, New Year Greeting Card along with Cadbury Celebration Chocolate Box (Weight :118 gms). 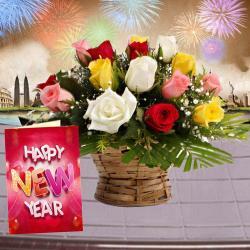 Classy and uber stylish, this gift hamper radiates warmth and happiness that you can send to your loved ones to give them an exhilarating start to New Year. It comprises of a bunch of 12 enigmatic red roses that takes your breath away. 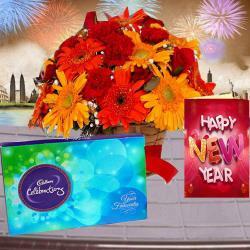 A lip smacking Box of chocolates from Cadbury Celebrations and a lovely New Year greeting Card is also paired with this awesome hamper. 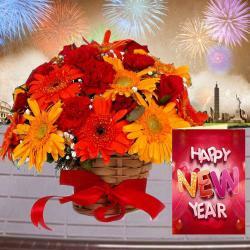 So go ahead and send this delightful hamper to your loved ones and show them how much you care for them. 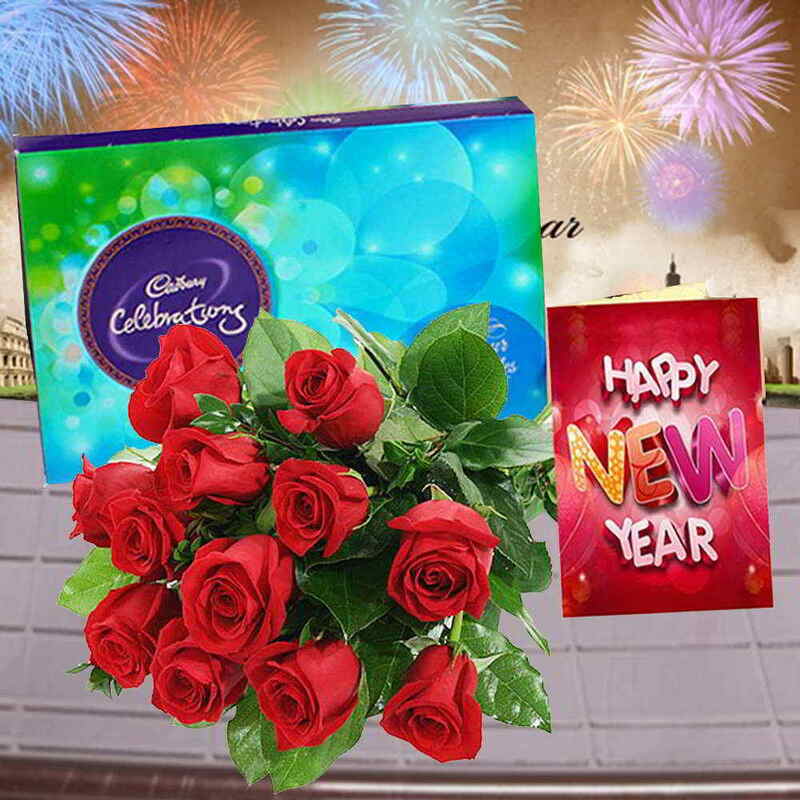 Product Consists : Bouquet of 12 Red Roses with some green fillers in a cellephone wrapping with a matching bow, New Year Greeting Card along with Cadbury Celebration Chocolate Box (Weight :118 gms).